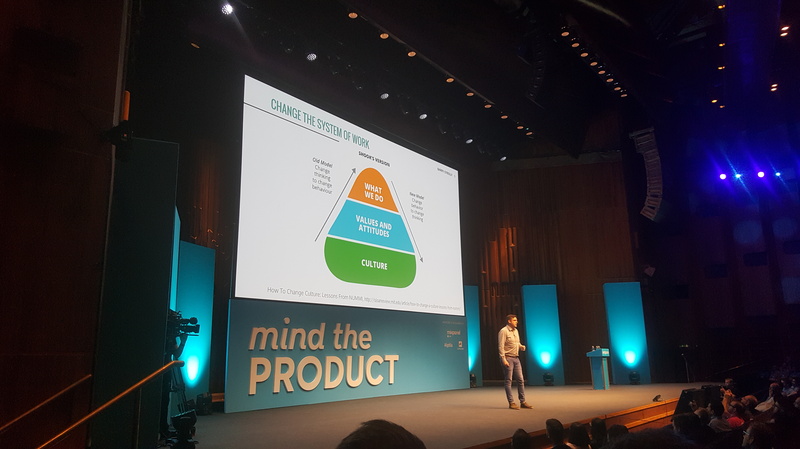 Friday 8 September saw yet another ragingly successful Mind the Product (MTP) conference at the Barbican, London. I’ve thrown together my top takeaways from each speaker at the MTP conference 2017. 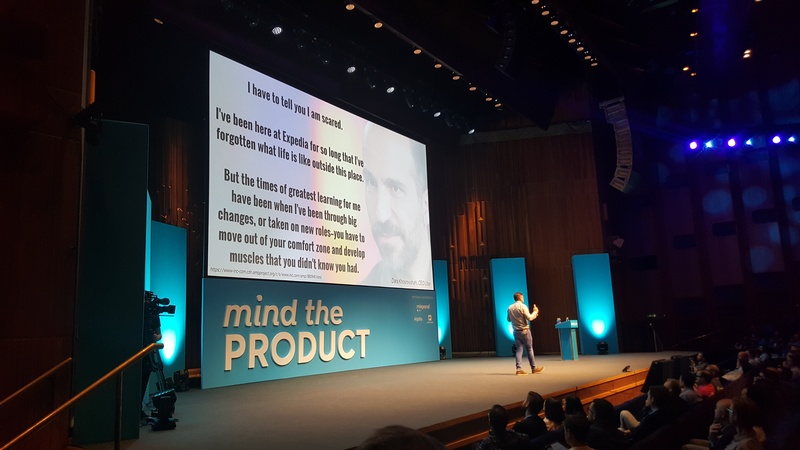 If you didn’t make it, for whatever reason, I should have you up to speed by the end of this post, and if I don’t you can get all the talks from the MTP website: boom. By mapping the journey your users take from beginning to end, you can define the problems and come up with solutions. Shared documents don’t mean shared understanding – get rid of your documents and write stories collaboratively to build shared understanding instead! There is no such thing as requirements. Requirements imply it’s something permanent and necessary. In product we should be using stories instead – discussions about solving problems for our users that lead to agreements on what to build. trends, turn them into epics and the smaller parts into stories. the ‘pains’ and ‘rewards’ (aka ‘the delighters’ – although these will depend on your personas). 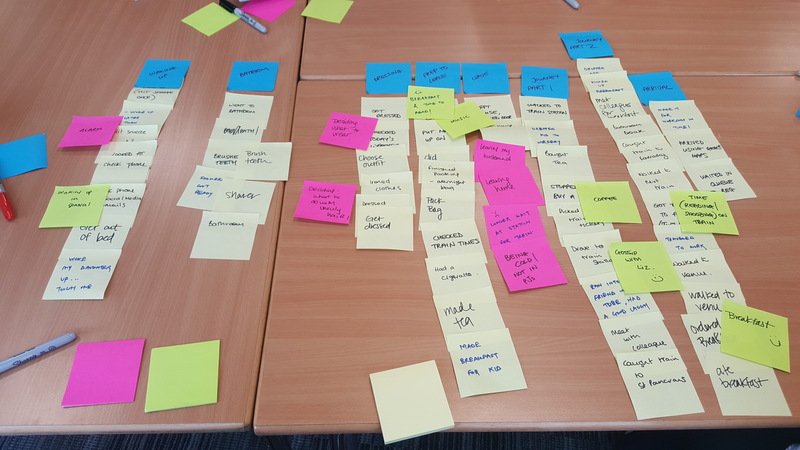 NB Prioritisation never starts with features, it starts with the strategy and vision, whether that’s ‘release to learn’ (aka “Nail it before you scale it”) or ‘release to win’ – but be sure to be clear on which it is. In one sentence: Solve a problem and test it in a week with Jake Knapp’s 5-day sprint plan! Day 5: Test – get quick and dirty data with interviews. The team watches and takes notes. Pull out trends, then repeat and perfect! Strip out the default stuff from your calendar and focus to get to the heart of the problem faster. “Does user experience as a competency have a strategic role at your organisation?” he asks. Silence. Awks. 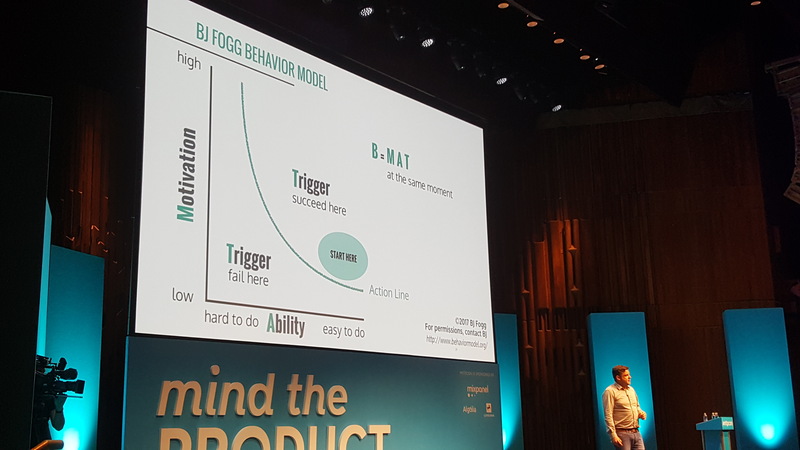 In one sentence: It’s a jungle out there for product managers and there are lots of traps waiting for us to fall into. Luckily we had Teresa to talk us through her process of: framing problems, discovering opportunities and generating solutions. When you fall in love with your own idea you can lose sight of whether it’s actually any good! Does it solve the problem you need it to solve? Is that the most important problem? The whole team should be aligned around the problem. 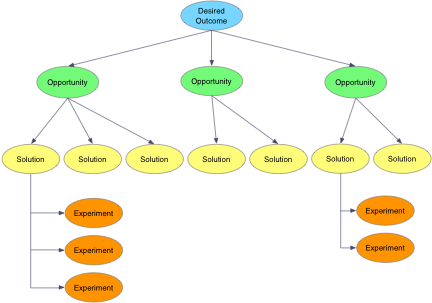 Define a clear desired outcome then together, map the opportunity space using the Opportunity Solution Tree! Don’t just come up with a solution for every problem, focus on one problem and come up with multiple solutions for it to get the best results. Which customer needs are most important? Use dot-voting in your team to pick top ideas, then experiment to filter down to one idea. In one sentence: From her experience at Moo, Jane gave some practical tips on the best ways to work with your designer and your team at large. 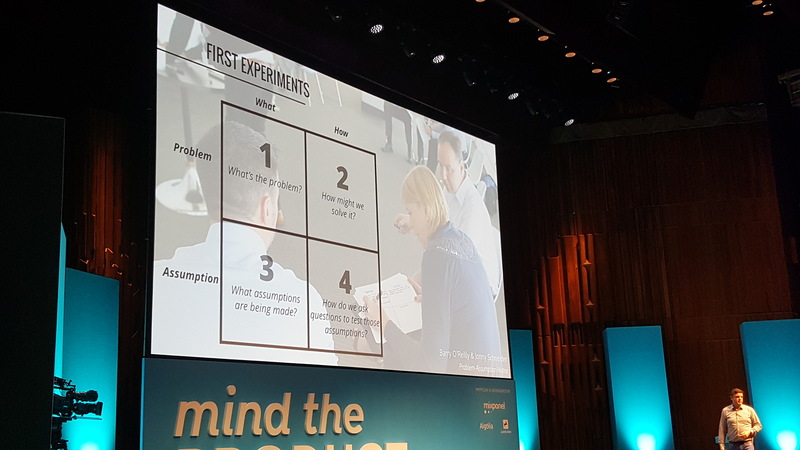 Use happiness as a KPI for your product – what makes you (the user) happy or sad? 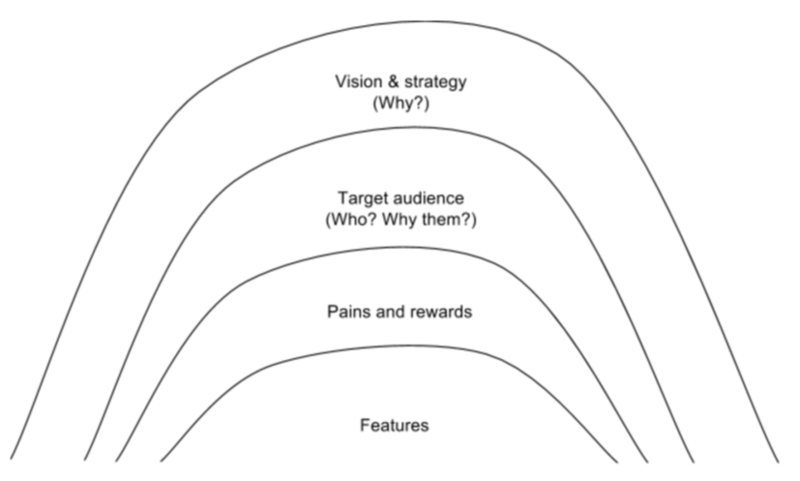 Prioritise the biggest pain, and you get happy users! “Research should be a team sport” – everyone in the team should know the same thing at the same time. You won’t always agree, so disagree and commit – come to decisions fast. Trust! Craft a problem statement, add the assumptions and deal with riskiest assumptions first and from this you can create a hypothesis backlog. MVP: What’s the least we can do to give value and what’s the least we can do learn? In one sentence: This is talk was really just about making us all stop and think for a minute – in case we accidentally throw the next light bulb (or some other revolutionary invention) into the rubbish. “All ideas are made of other ideas.” As it turns out, most of our problems aren’t new. For centuries we’ve had problems in travel, communication etc and always come up with some version of a solution. 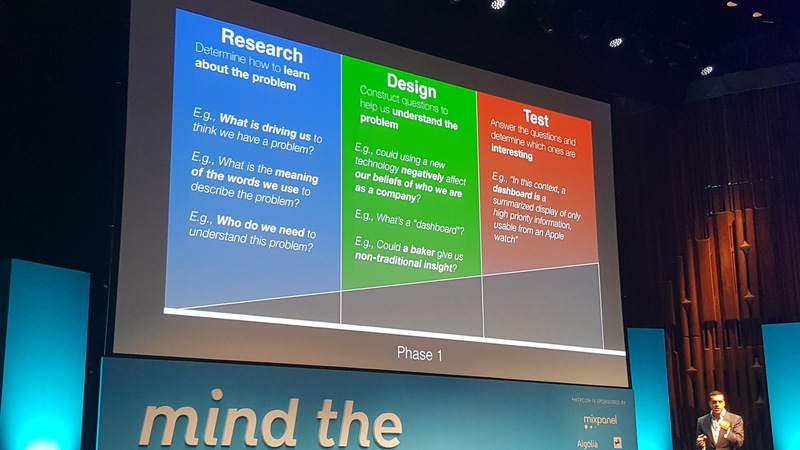 Scott recommends we: “study the history of a problem to find new ideas for solving it.” By iterating, we learn more and can develop and elevate our products. Good ideas often look weird! For example: in their time, trains, Eiffel Tower, computer mouses, all looked strange. “All masterpieces begin as experiments” – so don’t throw ideas out cos they’re weird! Our minds are naturally creative – when humans are suitably motivated by a problem, creativity is unavoidable! In one sentence: Just because it’s techy doesn’t mean it’s good for us. Amber highlighted how our devices are taking over and replacing everything – would we want technology to replace our first kiss or our kids growing up? Tech should work even when it fails – for example, you can still walk up and down escalators when they break down! In one sentence: Where you work can have a big impact on performance. Sarah discussed how a happy home makes a happy team! Don’t have a space? Work as a team to ‘hack a space’ – if you’re on a limited budget, create post-it murals! In one sentence: Data is everything, especially when you’re feeding it into machines for user-centred outcomes, so make sure it’s good! Be loyal to your user – only capture the data you need and be transparent about what it is you’re capturing. 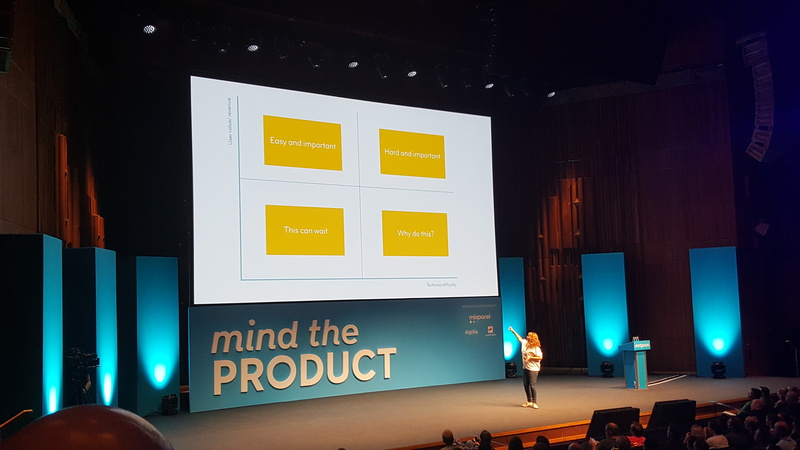 In one sentence: Lea looked at how you can pacify conflict, align goals and nurture relationships within your organisation to create a better culture for product. Talk: Lessons deploying lean enterprise at scale. How high performance organisations innovate at scale. 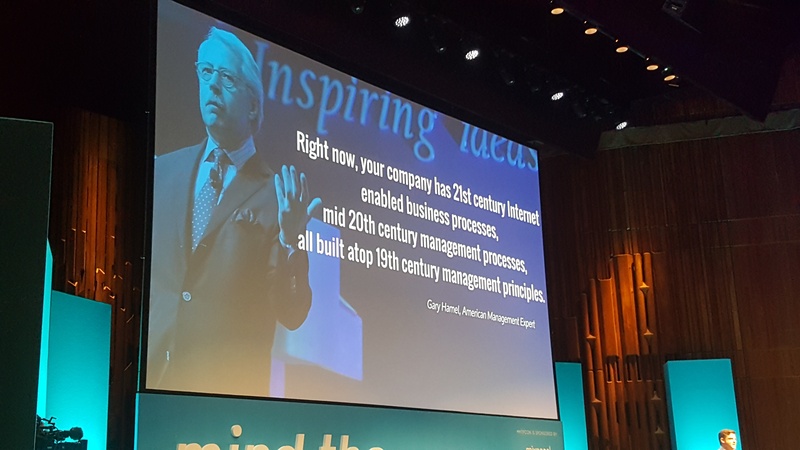 In one sentence: Barry pulled apart key features of an organisation from culture to behaviour of senior management, to show how you make big change by starting small. Shook’s version of culture: Change the way you behave then you change the way you think. Tiny habits: Barry suggests that we try and implement new ‘tiny habits’ as a way to gradually change behaviour. One example he gave was to end a meeting five minutes before the end and ask each person in the room if they think the meeting has achieved its desired outcome. People tend to mimic role models so start introducing small new behaviours and, with any luck, they’ll catch on! Transform yourself not others! Leaders need to get their hands dirty and should be speaking to real customers as much as the rest of the team. If they want change, they need to lead by example. 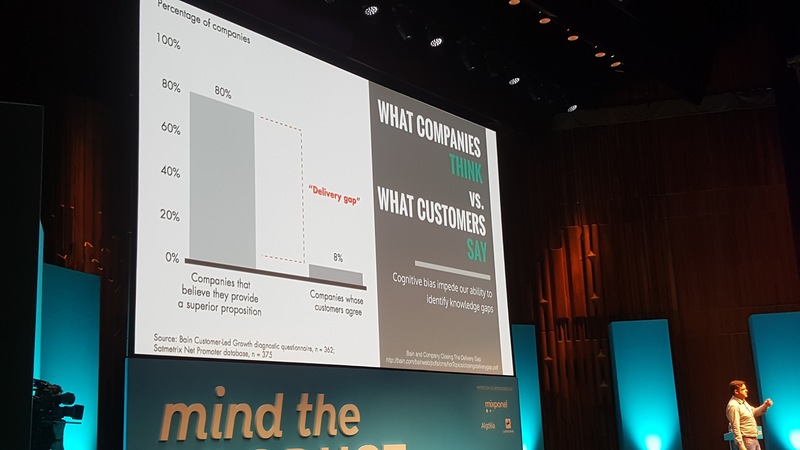 There’s a strong conflict between what companies think and what customers say – don’t take this for granted. “Great leaders don’t have better answers, they ask better questions”! Use purpose to empower, for big changes start small and transform yourself not others! 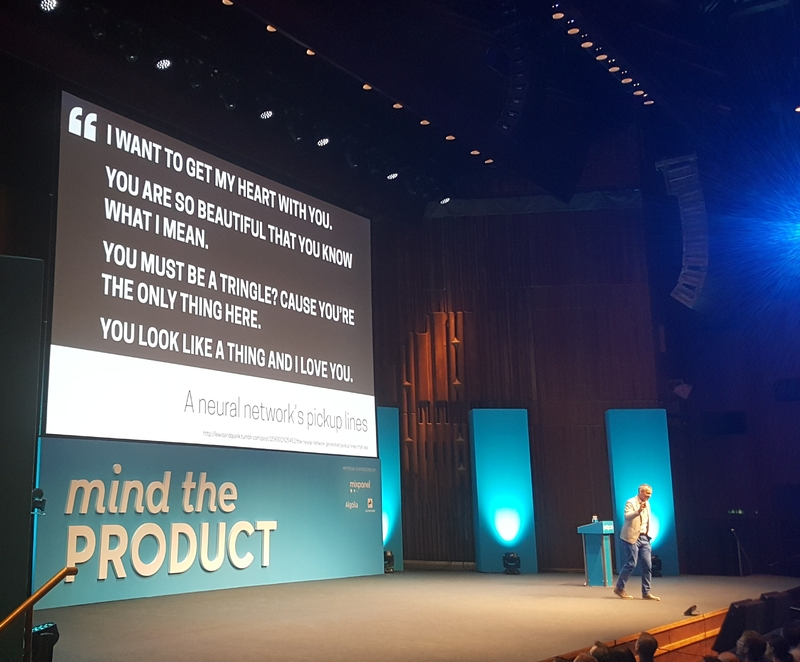 If you’ve never been to a Mind the Product conference, I can’t recommend it enough, even if it is just to meet like-minded people and realise that as someone who’s working in product, you are certainly not alone. Also, there’s beer. Next Waste not want not: Upcycle your tech!